There has been an explosion of technological advancements in the world of orthodontics recently. Dr. Shimizu has chosen to incorporate many of these into the treatment planning of his patients to insure that the best possible treatment outcomes are obtained in the safest possible environment. The future of orthodontics is here in our office now! 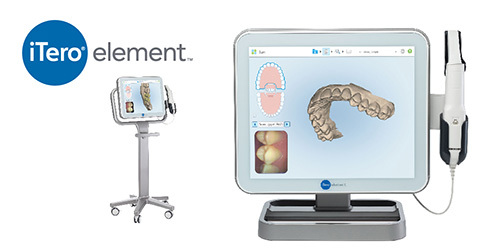 The iTero scanner provides increased patient comfort by utilizing highly accurate digital impressions for our Invisalign patients. The 3-D image is immediately sent to Invisalign and Dr. Shimizu is able to activate the start of treatment much sooner. As a patient, you will receive your aligners in a much shorter time frame. The diode soft-tissue laser is a highly effective and predictable new device for simple recontouring of gum tissue requiring only a topical anesthetic gel. Energy from a "tissue specific" laser creates a photothermal reaction, making it possible to "paint away" targeted soft tissue in a controlled and focused manner without unwanted side effects on surrounding teeth. This is especially helpful in cases where a tooth comes in slowly or in the wrong place, or in cases where there is excess gum tissue covering the teeth. Additionally this device allows us to provide some pain relief and faster overall healing times for cold sores and canker sores when they are treated at the time the symptoms first occur. Currently, only 2% of orthodontic offices in the US use a soft tissue laser as part of their patient care. 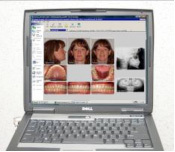 For those of our patients who demonstrate unusual dental eruption patterns, skeletal asymmetries, or jaw joint problems, we have the ability to utilize the latest three dimensional digital X-Rays. In conjunction with our conventional two dimensional radiographs, this insures that Dr. Shimizu has all of the necessary information to formulate an individualized treatment plan for you and your family. We always communicate with your general dentist to make sure that only necessary x-rays are taken. One of the newest innovations to become available in orthodontics involves the use of Temporary Anchorage Devices (TADs) to move teeth. TADs are small attachments that Dr. Shimizu places directly into the bone to provide absolute anchorage for tooth movement. These are usually placed using a topical gel and a local anesthetic. Most of our patients report absolutely no soreness from the TADs, although tooth soreness may continue due to regular orthodontic movements. TAD's are used in situations where very difficult tooth movements are required, or in situations that would otherwise require surgery. Our entire office is computerized to allow seamless access to all of the information that Dr. Shimizu and his team require to insure that your treatment proceeds as smoothly as possible. Digital photographs are used at your initial exam appointment to clearly describe the problems that are present and to present the treatment outcomes that we recommend. X-rays, photographs, and treatment notes can be brought up instantly on any of our chairside monitors. Communications about your future appointments is made available immediately to our appointment coordinators. With your special encrypted password, you can even access your future appointments, check account balances, and make payments online. Security of your personal data is monitored continuously. In order to meet or exceed the very stringent Federal and State regulations regarding the maintenance and sterilization of dental instruments, we use the most modern techniques and equipment available within our industry. All instruments are ultrasonically scrubbed and then sterilized in a high heat steam Class B autoclave machine. The instruments are sealed in protective bags before the sterilization process and remain in these until they are brought to the treatment chair. Even our archwires are individually packaged for your protection. We test our sterilizers on a daily basis to insure the safest environment for all of our patients.